For all interested in the key ways of women's influence on today's development of humanity! Key idea of the project: Women CAN make a difference! 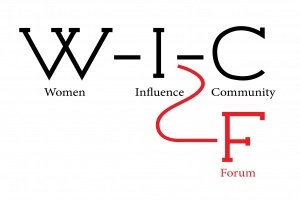 WIF embodies the idea of specific women’s mission to influence the world, to make it a better place, and also provides a research on the possible ways of how women can achieve such a global impact. WIF is a way for involving every woman who, inspired by others’ life stories, has the guts to choose her own way of realizing her true potential – as a creator, professional, entrepreneur, mother, muse or citizen! Opening speech: Women authenticity and influence.